It’s amazing just how impactful words (and actions) can be. 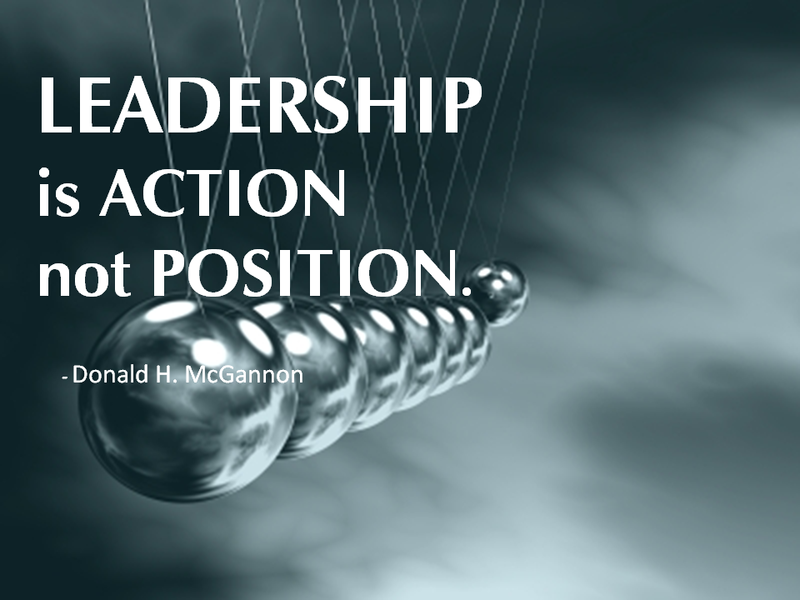 I came across the message – Leadership is Action, Not Position – while interviewing for my first job out of college. I was so struck by these words that I framed them and hung them on the wall of my first cubicle… and on the walls of every cubicle and office I worked in for the rest of my career. – Strive to understand the “why” of assignments. It makes the work more meaningful and gives you the opportunity look for opportunities to go beyond expectations. – Understand that you are likely seeing things that leaders further up the organizational ladder don’t see. Just because something isn’t on the executive team’s radar, doesn’t mean it isn’t important. Act on opportunities within your reach and shine a light on those that require greater authority or resources. – Use team meetings and 1-on-1 sessions to encourage (and empower) team members to act on opportunities to improve. – Recognize creative thinking, initiative and risk taking in ways that make it clear you value these traits. – Create opportunities for team members to lead projects that will help them grow as leaders. – Understand that all of your ideas and decisions won’t be good ones. Create an environment in which team members feel comfortable challenging you if they feel you are off track. And then recognize those who are “brave” enough to do so. – Publicly “own” your mistakes. Don’t hide behind your title… lead with the kind of integrity that demonstrates that you deserve it. – Check in with team members to see how things you have said or done have landed within the organization. People often take things differently than you intended. Don’t miss the opportunity to set the record straight before too much “damage” is done. When I reached “the top” I found myself looking for ways to bring the words “Leadership is Action, Not Position” alive throughout the organization. I also came to more fully appreciate the power of intentional leadership. Here are some thoughts for fellow executives to create focus and alignment in the organization so that the actions of leaders (at all levels) will create more momentum than disruption. – Use “all hands” meetings to recognize examples of team members living out the organizations values, vision, mission and strategies. – Give fellow executives (and other leaders) the opportunity to deliver key messages – demonstrating the strength and alignment of the leadership team…at all levels. – Truly invest in building and nurturing a thriving culture. Hiring, onboarding, training, performance management, recognition, advancement…every aspect of people interactions should be (obviously) aligned with the organizations values and the kind of culture you are striving for. – Embrace healthy conflict. Too many leaders seek to avoid conflict. 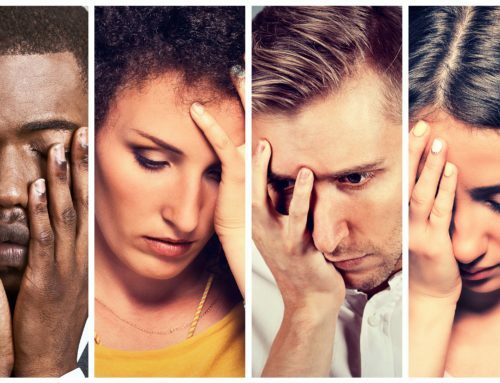 Sometimes we need (healthy) conflict to ensure that we reach the best decisions, work through underlying issues and avoid unnecessary obstacles. – Be intentional…with your time, your words and your actions. With such a broad set of responsibilities it is easy to get pulled in so many directions that you end up spending your time rather than investing it. Make sure that the things you can do to have the greatest impact on the organization are the things you prioritize each day. We seem to be bombarded these days with examples of people in leadership roles who are not acting in ways that live up to our expectations. Worse yet, I sense that many people are beginning to lower their expectations of our leaders. It’s up to each of us, regardless of position, status or title, to lead. We must speak our truth. We must hold each other accountable. We must raise, not lower our standards and expectations. We must challenge, support, vote. We must fight the good fight. We must act. 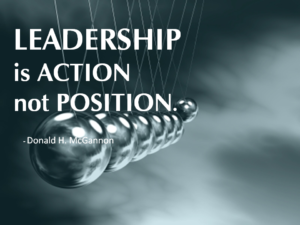 Now more than ever, I believe in the power and importance of the message… Leadership is Action, Not Position.